Surrounded by the scenic hills and vineyards of the "Valley of the Moon," the Jack London Lodge is the picture perfect destination for your wedding, reception, or rehearsal dinner for up to 150 guests. The Jack London Lodge offers beautiful outdoor spaces and a turn of the century historic saloon in the charming village of Glen Ellen just 15 minutes from the town of Sonoma. 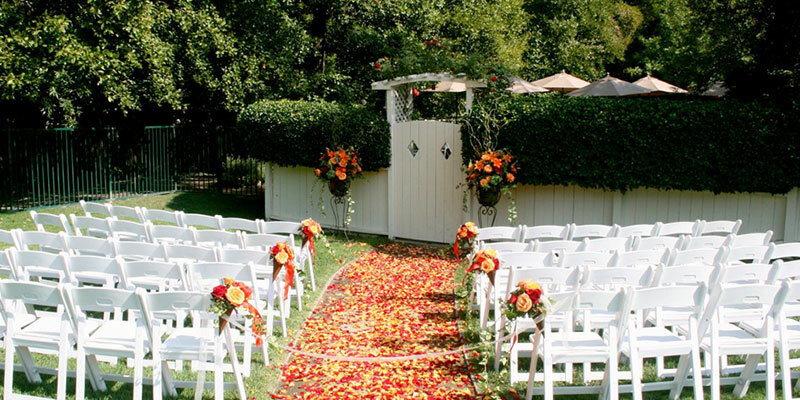 Host an intimate wedding ceremony, a fun cocktail party or family gathering in our charming Sonoma event venues, with local wine country cuisine and a warm, rustic ambiance.